Mass Communication is the study of how the information related to entities and individual, communicate or transfers to the entire world at the same time. The information is generally disseminated using the newspapers, books, magazines, websites, blogs, radio, film and television. There is a rapid expansion in the mass communication industry in the last 10 years, with more and more news channels and media houses coming in to picture every year. Mass communication is actually, communicating those information that is not known to people around the globe, and thus to make information available to everyone, by using the latest technological platform, in the form of blogs, websites, and television. If writing is your hobby, and you can present the things in an effective manner, if you love to take challenges, if you have got excellent communication skills, then a career in mass communication is waiting for you. Mass communication is one of the popularly emerging career fields with more and more students opting this as their higher career option. Get Latest Career Notification about Mass Communication Courses, by entering your details below. When we talk about “journalism” it means a way of presenting the information by various medium including printed articles, blogs, and television. Whereas a journalist is a person who performs all these task of searching for information, editing it, writing article and presenting it, thus we can say that journalism is an integral part of mass communication. After completing your degree in mass communication, you can work in different sectors like reporting, writing, editing, photographing, broadcasting or cable casting news items and many others similar work profiles . There are two types of journalism in which you can work, i.e. first one is Print Journalism and the second one is Electronic (Audio/Visual) Journalism. In Print Journalism you can avail jobs in newspapers, magazines and journals and can work as editors, reporters, columnists, correspondents, etc. In Electronic journalism you can work for Radio, Television and the Web. You can build your career in journalism, which is a highly paid and prestigious profession. It is the best job for those interested in gathering different news from various sources and then to mould it in different styles. One can also find job opportunities outside of India. The candidate who is looking for a career in mass communication, must pass their senior secondary examination and have good communication skills. The admission to the various courses on done on the basis of marks scored in the qualifying examinations. Minimum eligibility for bachelor degree in journalism is 10+2 and for postgraduate degree courses, you must hold a bachelor degree in journalism or relevant field. Some universities and college admit students on the basis of marks in class 12th followed by interview. Are there any good colleges to pursue mass communication? Manipal Institute of Communications, Manipal. Amity School of Communication, Noida. These are some of the coveted designation in mass communication, besides these an individual can work as a Camera man, assistant director, producer, screen writer, video jockey etc. The salary in this profession may depend your skills and experience; you can start your career as a correspondent or news reporter, the salary in this period could be Rs. 10,000 to Rs. 20,000. After some experience, you could be working as an editor or an anchor, the salary in this profile could be around Rs. 25,000 to Rs. 40,000 per month. If you have got enough experience and expertise in a particular field then you can easily make a six figure income. For more information regarding Mass communication, ask your queries below in the comment box. Hello sir, I want mass comm but not journalism course other trade suggested me that which trade is best. I complete my 12th. Plz suggested me as soon as possible. I m student of BE second year. But I don’t want to. Do engineering . plz guide me for BMMs course. I am a BCA final year student and I want to do post graduation in public relations after completion of my graduation.Sir/Madam plz give me detailed info about scope in this field. Can I become a Bachelor of Mass Media and Communication after completing 12th in Medical ? I have just cleared my 12th exam and got 58%. Still confused what to do I like media and event…please guide me. Go for some private colleges e.g jag school of transformative skills, himcom, isomes, iimm and many more. I just want to know, is there any use of doing sound engineering after bjmc? I’m in 11th standard from PCM stream and I’ve scored 86% marks in my board exam .I always loved the field of mass communication as in my school assembly I’m always alotted with the news part .Is mass communication made for me?? If I finished my 12th from Nios .. do I get the job or do I get the admission in college? I want to become a travel journalist… So this is the right field, isn’t it ? Sir,i want to know the best sample paper or book to prepare for entrance exam of mass communication . Plzzz reply me as soon as possible . I have done my inter. And i am interested in media. Will mass communication right choice for me? Yes, it is one of the good career course. sir I want to know … total fees for bjmc course …?? Information is given in article. You should go after 12th for BJMC and then go for MJMC. Beside these some institutions also offer BA and MA degree in MC. kya aaapki addmission hogai ? hi, i am working in uae and want to enhance my career and qualification. what is and how much is the fees and other online study material and guidance facilities? please email me details. Which entrance exam will perfect for mass communication after 12th? Want to know about mass communication career…..
what is the acctualate time span of mass communication ..i mean is it first an undergraduate course i.e B.A.then post graduate i.e M.A. …and which colleges are providing with undergraduate courses?? Which is best course of after 12th….. ???? sir mai B.sc phy hons se kar raha hoon. Main hindi commentator banna chahta hun.iske liye masscommunica ka kaun sa course karna hoga.batate to badi meharbaani hogi. I am a class 12th commerce student. I am intrested in Mass Communication. And want’s to become a PUBLIC RELATION OFFICER. Sir, please guide me, about future in Public Relation Officer. And about best collages in rajasthan & some exams of mass communication. 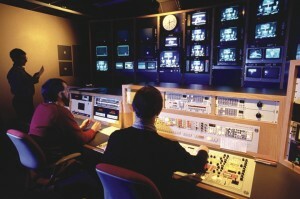 yes you can pursue Mass communication, You can do this course from any reputed college/university. There is no such entrance exam for this course, the admission are generally on the basis of class 12th marks basis. you can improve your skills by communicating with your friends, techers, reading books, news etc. I was passed 12th with arts and i wanna to bright my carrier in electronic media… is it possible for me or not becoz i was passed 12th with arts so i think…. you know wat i mean.. sir please help me by your guideness bcoz i don’t wanna to waste my years ….!! Sir I am in pg final year .my subject is English .am I able to do mass communication course after this. Sir as nw im dng my 2nd ba journalism and i dnt no wat to.do after this wil u guide me for this..,as my writing is nt good,. And ya i want to do news anchoring in hindi channel..
Can you please provide me details of audio engineering in mass communication? I have completed my class 12 and i m thinking about mass communication is this good for me,?? I am 12 th class student with medical can i go for journalism as an anchor if yes what are the best course for me. yes you can pursue Journalism, you can pursue BA in mass media and journalism. Iam Maltesh c s stadying In BA 2 year jarnalisum DTP copliting and any working TV channels and other channels please give me one chance. I’m pursuing engineering in electronics and telecommunications and always wanted to be a RJ. Now since I’m in the last year and soon a free bird after 3 months, just want to know the procedure to be one, also wanna know so I need to takeup any courses for the same? There are many courses, you can pursue a short term course. yes you can pursue Mass Comm., you should have good communication skills, you should look for good colleges which have a good placement record. Yes you can pursue a degree/diploma or a short term course this field. Look for intership after the completion of your course, which will be helpful in getting a good job. I am a B.com final year student and I want to do post graduation in public relations after completion of my graduation.Sir/Madam plz give me detailed info about scope in this field. सर। मैंने अभी 10थ क्लास पास किया है। और मुझे सर रिपोर्टर बनना है। मास कम्युनिकेशन के बारे मैं विस्तार से बताये? I am very happy this information and thank you for your guidance. I m student of BA 3rd year Education and Psychology. What is good for me MBA or MA Mass comm?? I heared not more long in journalism career, it is true or not? Please plz tell me soon as possible as. MBA is a better option, as you will have many job opportunities after the completion of this course. Thanks for sharing this useful info. I’m too interested in this field and planning to do BA in Journalism and Mass Communication from UTM University. Was surfing net to explore more and more about this field and landed up on your article. It has really boosted my confidence about my career choice. Keep coming up with such informative articles.